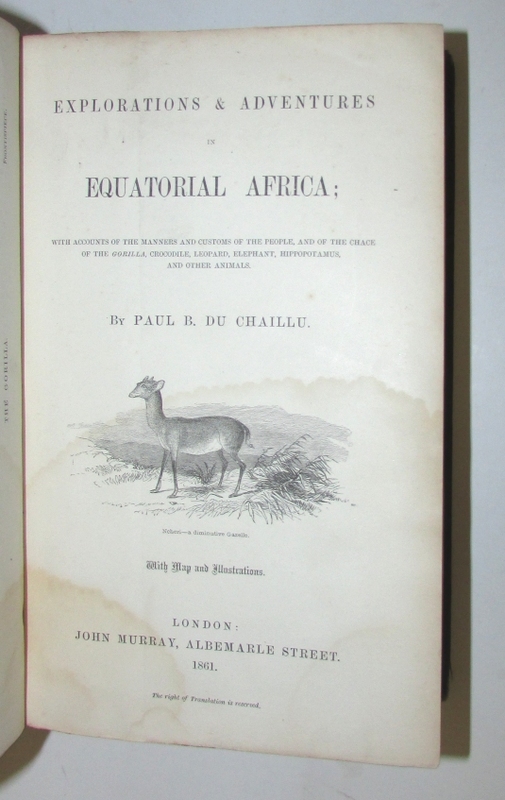 DU CHAILLU, Paul B. Explorations & Adventures in Equatorial Africa; With Accounts of the Manners and Customs of the People, and of the Chace of the Gorilla, Crocodile, Leopard, Elephant, Hippopotamus, and Other Animals. London: John Murray, 1861. 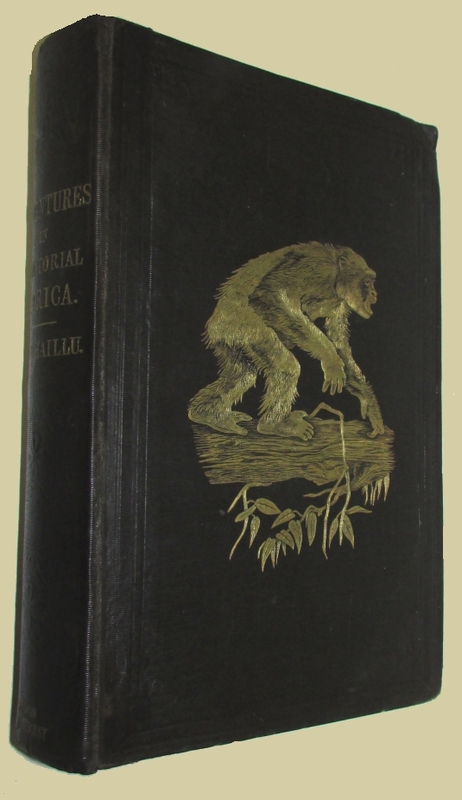 Second edition (same year as the first, and the same but for the “Notice to the Second Edition, June 1861” added after the Preface). Tall 8vo., orig. 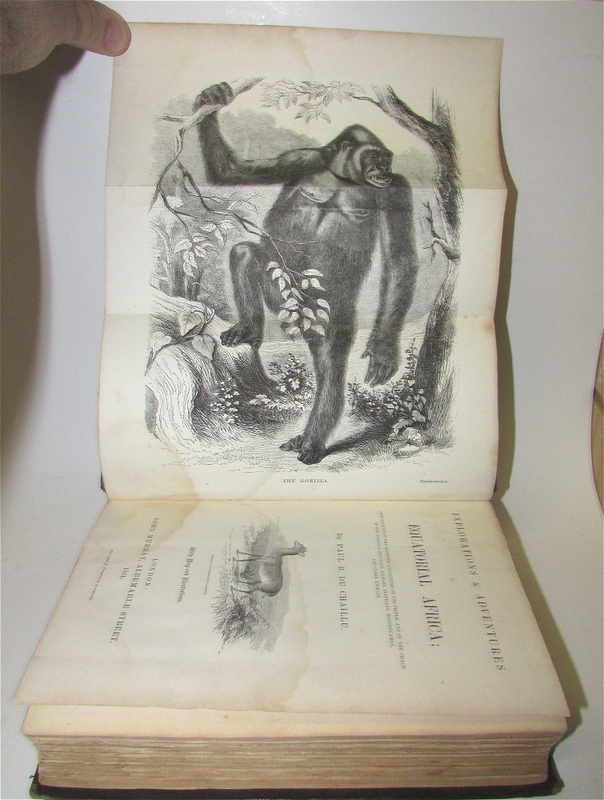 brown cloth dec. in blindstamp and with image of an ape in gilt on upper cover, xviii, 479, 32pp. ads dated “April 1861”. 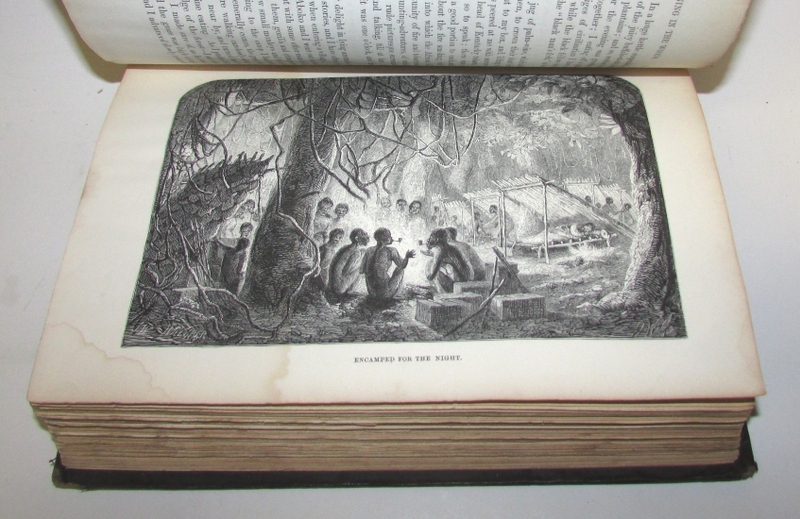 With folding frontispiece, illustrations, and folding map. Dampstain, which runs throughout the text but is most noticeable on the stiffer paper of the plates and titlepage, map at rear has been supplied from another copy and has some foxing and closed tears repaired with archival tape, gift inscription, rebacked with the original spine laid down, light wear to extremities, a very good copy.